The XZipit Office Chair 1000 is a must for person who wants to personalize their work space either at home or at the office. 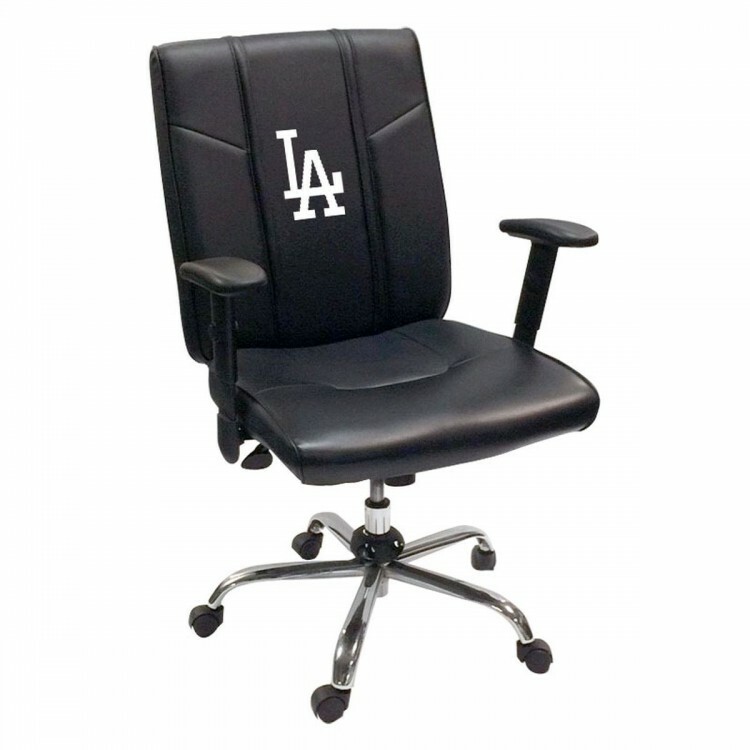 The front and/or back of the chair can showcase your favorite logos. These office chairs are made from durable high grade synthetic leather upholstery with padded arms. Built-in Lumbar Support. Tilt and Lock Control. The Minnesota Twins deluxe logo baseball bat display case is made of 1/8"-thick clear acrylic with a..
Machine-Made Tufted. 100% Premium Nylon Pile. Made in the USA! Philadelphia Eagles 3'10"x5'4" NFL Te.. This 8'' x 10'' photograph has been personally hand-signed by Matt Stafford. It is officially licens..
A Dynasty banner commemorating the World Series championships each teams has won. Each banner is mad..
Florida Cue Rack in Black Finish by Holland Bar Stool.. This double-matted frame kit is a perfect addition for the collector looking to professionally displ.. This framed 20'' x 24'' in focus photograph has been personally hand-signed by Hall of Fame third ba..